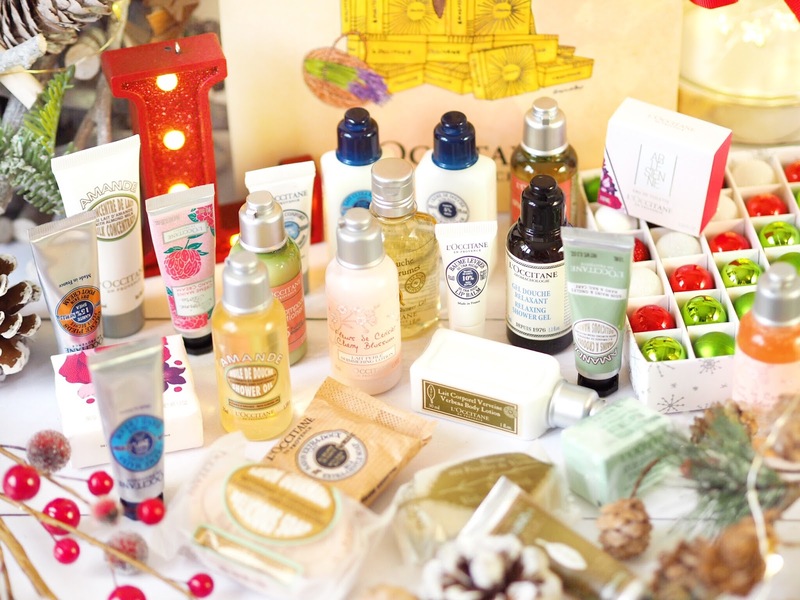 It’s time to open another Beauty Advent Calendar folks! I am seriously loving this process and I’m going to be gutted when I don’t have any left to open (I should probably actually save one for December, shouldn’t I?!) 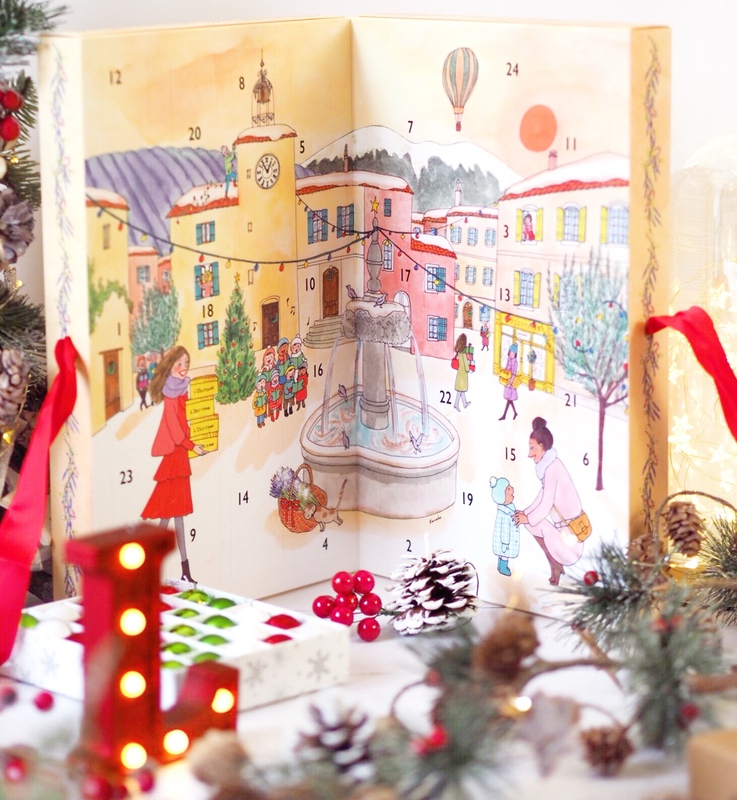 Today’s Advent Calendar reveal is a special one, it’s the gorgeous Classic Advent Calendar from L’Occitane! 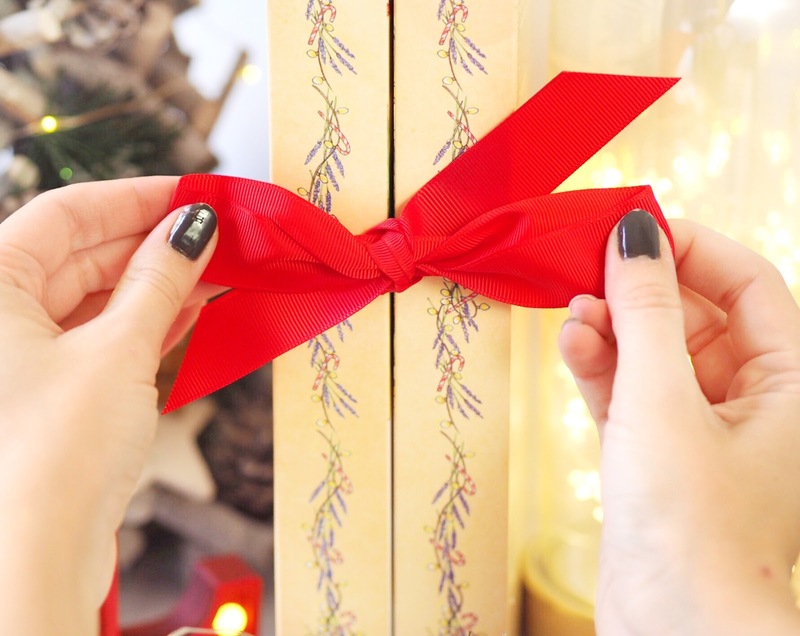 Always one to sell out quickly, the Classic Advent Calendar costs £49 and has 24 treats hidden behind it’s doors. The value of contents inside is nearly £90 but to be honest it feels so much more than that. 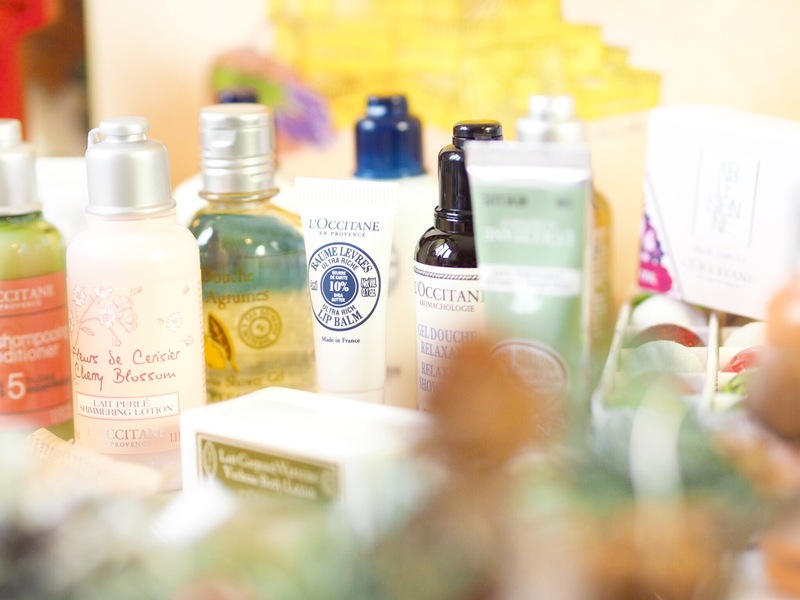 L’Occitane are one of those pure luxurious brands and their products rate highly for performance. So this calendar is a brilliant and affordable way to try out some of their best selling and much loved products. 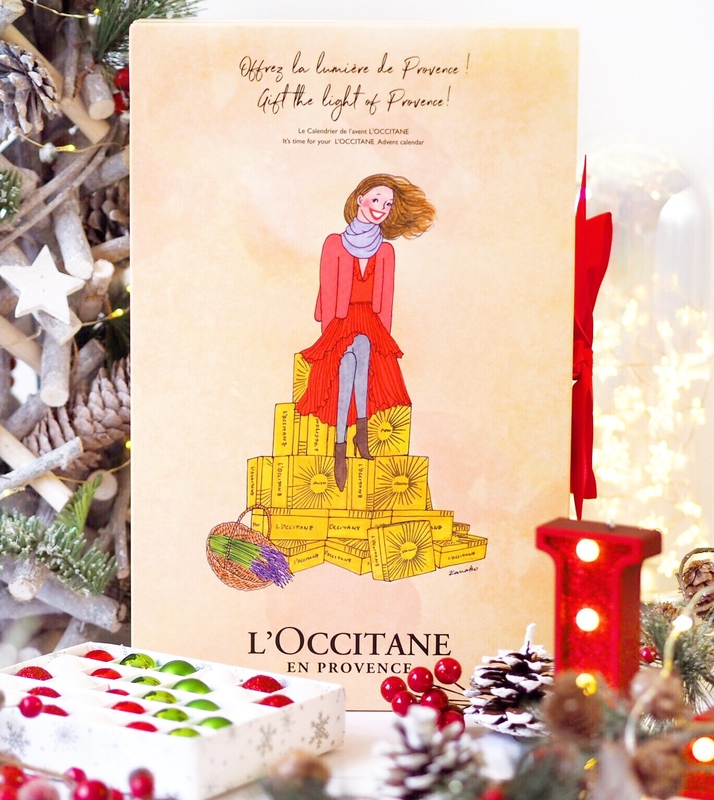 The calendar itself would be ideal for both L’Occitane lovers and those who are new to the brand because there’s a huge variety of products inside. There’s everything from soap to shower gel and even eau de toilette. The variety means you can try so many different products for far less than it would cost you to buy them all separately. Plus I think this would make an amazing gift too. The packaging itself is really cute and festive. A double sided calendar held together with ribbon, the design is just as luxurious looking as the contents inside, so it makes for a great treat when you open it. 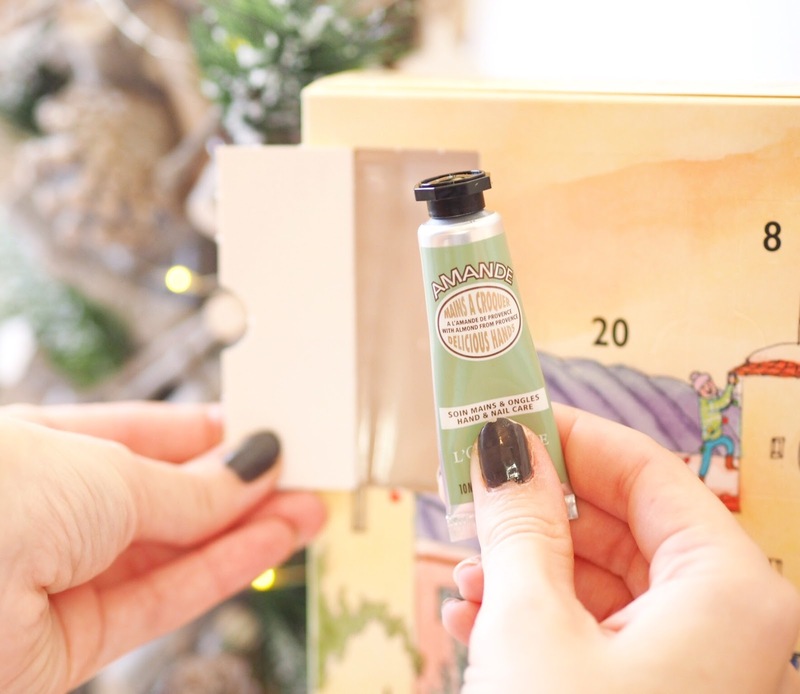 Plus I will say this, some of the Beauty Advent Calendars that I’ve reviewed this year have been tricky to open (the doors not always easy to press) but this one was really easy and didn’t ruin the look of the calendar at all! It remained pretty throughout – phew. 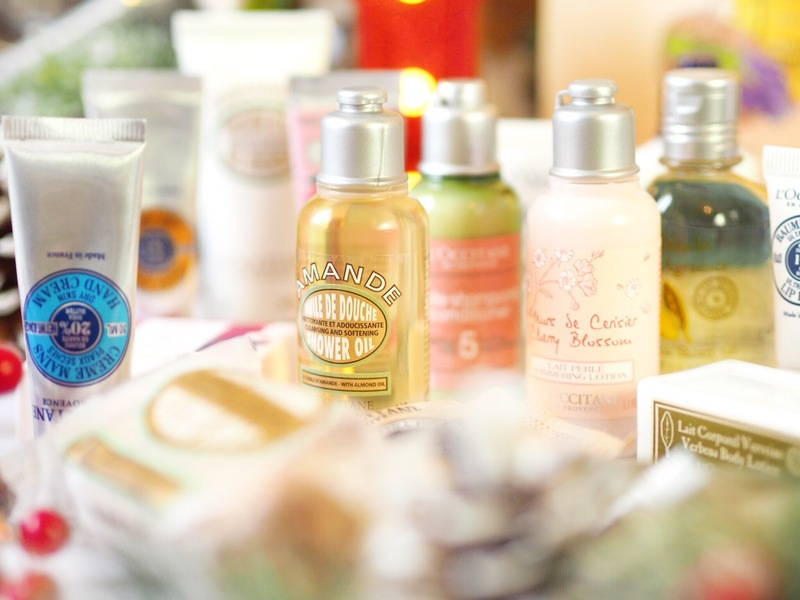 Some of my favourite products included their gorgeous hand creams which come in a variety of scents. 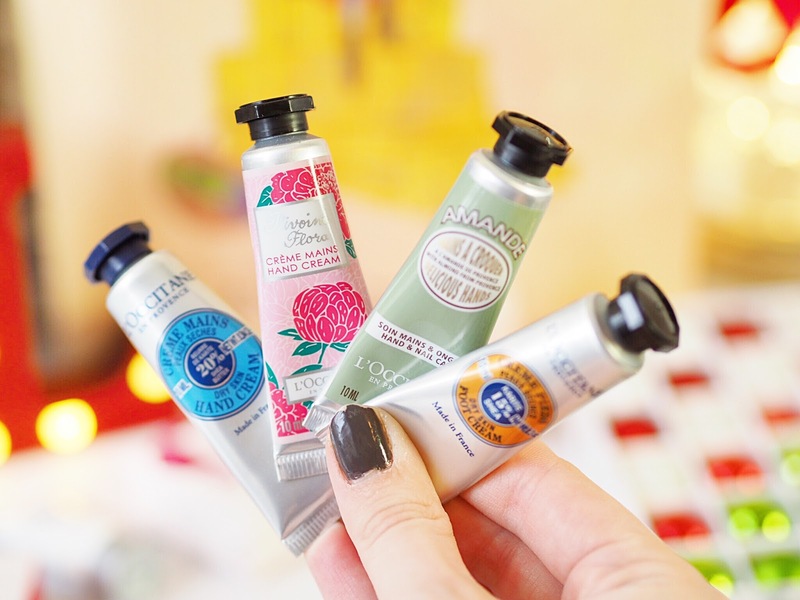 I’ve had L’Occitane hand creams for years because it’s so thick and rich, so getting to try some new fragrances is something I’m really looking forward to. And you can’t go wrong with a good hand cream. 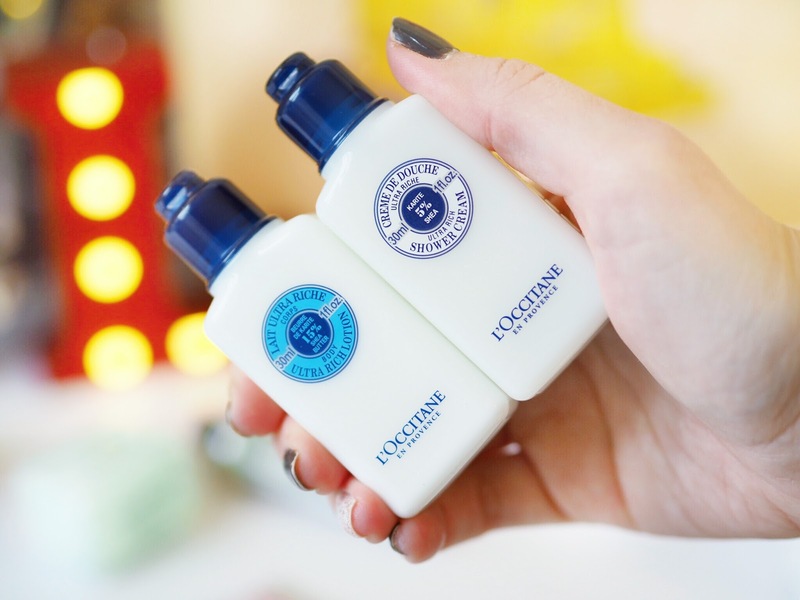 The Traditional L’Occitane Shower Cream and Body Lotion are firm favourites of mine too – both absolute staples of their ranges, these two little goodies are the perfect travel size and they carry the most fresh and awakening fragrance. Another product I love is the Lip Balm. I’ve been looking for an intensive Lip Balm and this one has gone down a treat. I’ve got lots of middle-of-the-road lip balms, but come this time of year I need something stronger. And I know this one is going to perform miracles. One more favourite would have to be the Shower Oil. I’ve recently started using Shower Oils and I can’t believe I have waited this long to try them out. They leave the skin so soft and feeling really nourished, and I notice the hard-skin-areas (like elbows) feel much softer after continued use. So a cute little bottle of Shower Oil is a big hit from me. 35ml Relaxing Shower Gel• 35ml Cherry Blossom Shower Gel• 10ml Shea Butter Hand Cream• 50g Almond Delicious Soap• 10ml Pivoine Flora Hand Cream• 35ml Repairing Shampoo• 30ml Ultra Rich Body Lotion• 25g Verbena Soap with leaves• 30ml Ultra Rich Shower Cream• 10ml Almond Delicious Hands• 20ml Almond Milk Concentrate• 35ml Cherry Blossom Shimmering Lotion• 10ml Verbena Cooling Hand Cream• 35ml Almond Shower Oil• 10ml Shea Butter Foot Cream• 50g Arlésienne Perfumed Soap• 30ml Verbena Body Lotion• 35g Revitalising Sugar Bath Cube• 30ml Citrus Verbena Shower Gel• 3ml Shea Butter Lip Balm• 7.5ml Arlésienne Eau de Toilette• 5ml Shea Light Comforting Cream• 35ml Repairing Conditioner• 25g Shea Milk Extra-Gentle Soap. All products within the calendar are mini or travel size, so it’s great for finding a new favourite among the 24 little goodies. Try everything out then when you’ve found your favourites you can buy the full sizes of your favourites. 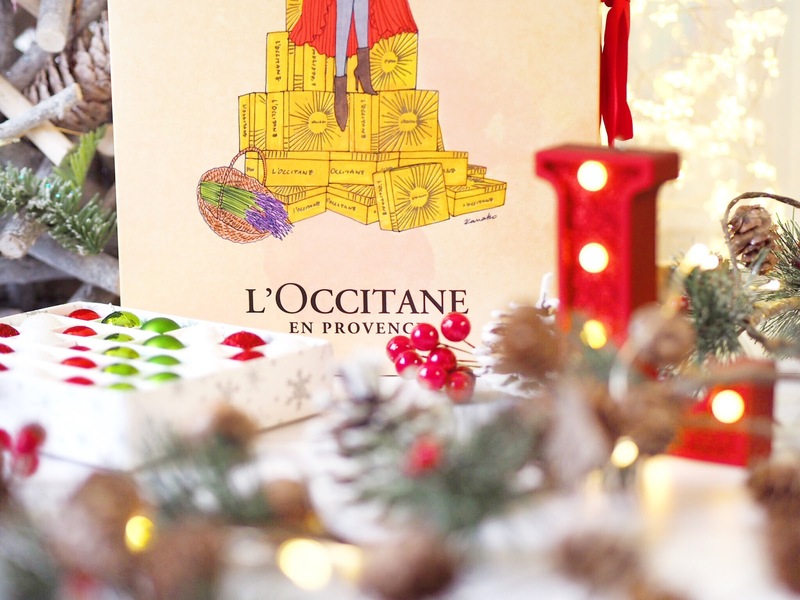 The L’Occitane Classic Advent Calendar is sure to sell out as fast as usual so make sure you pick up yours before they’re gone.